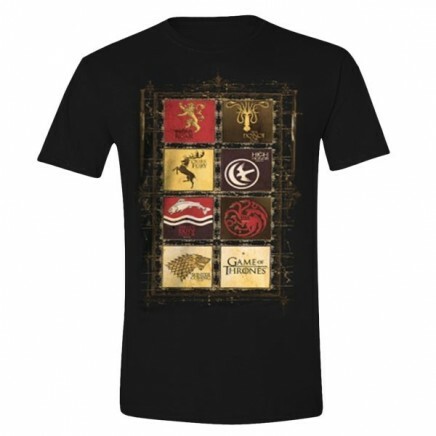 Game of Thrones T-Shirt with High with family sigils. Qality print and fabric. Officially HBO licensed. Available in size S, M, L, XL and XXL.